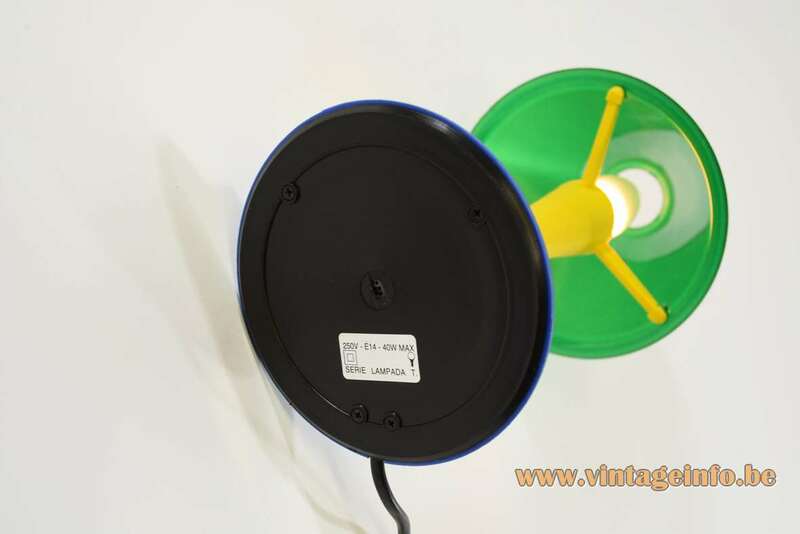 Materials: Blue, green, yellow and black molded plastic. Bakelite socket. 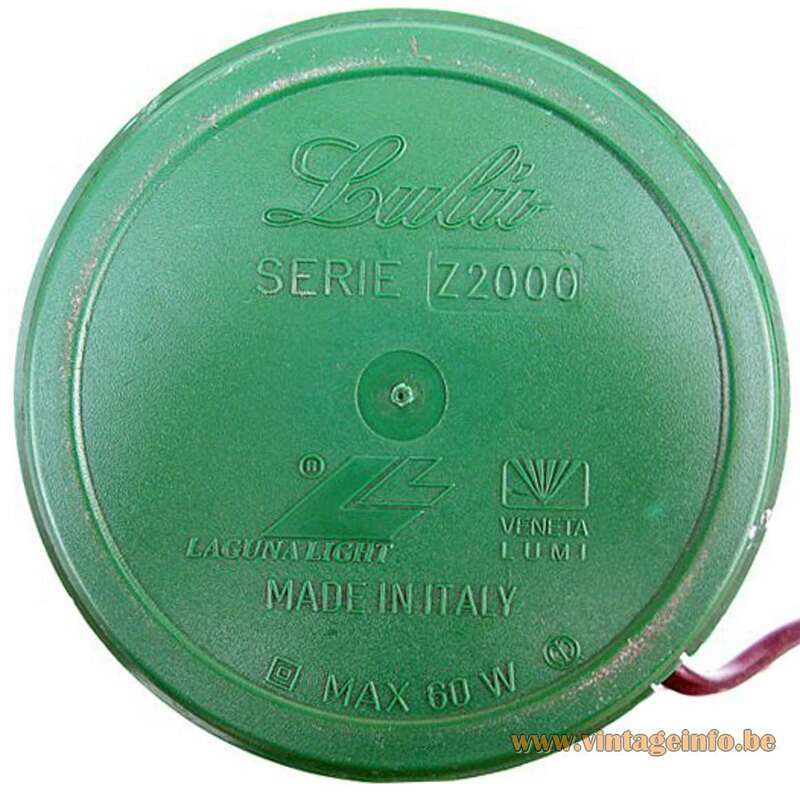 Manufacturer: Veneta Lumi, Italy – attributed. 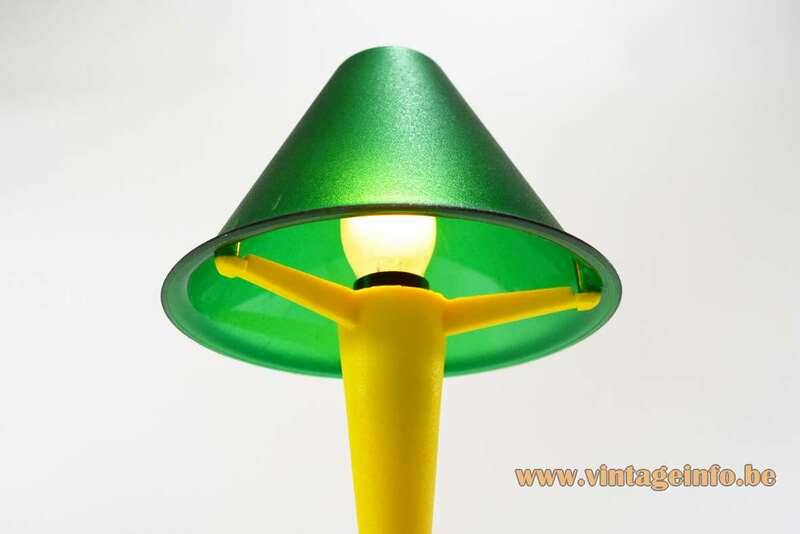 The design of this table lamp is based, to say the least, on the design of the Miss Sissi table lamp designed by Philippe Starck (born 1949) in 1990 and in production by FLOS since 1991. 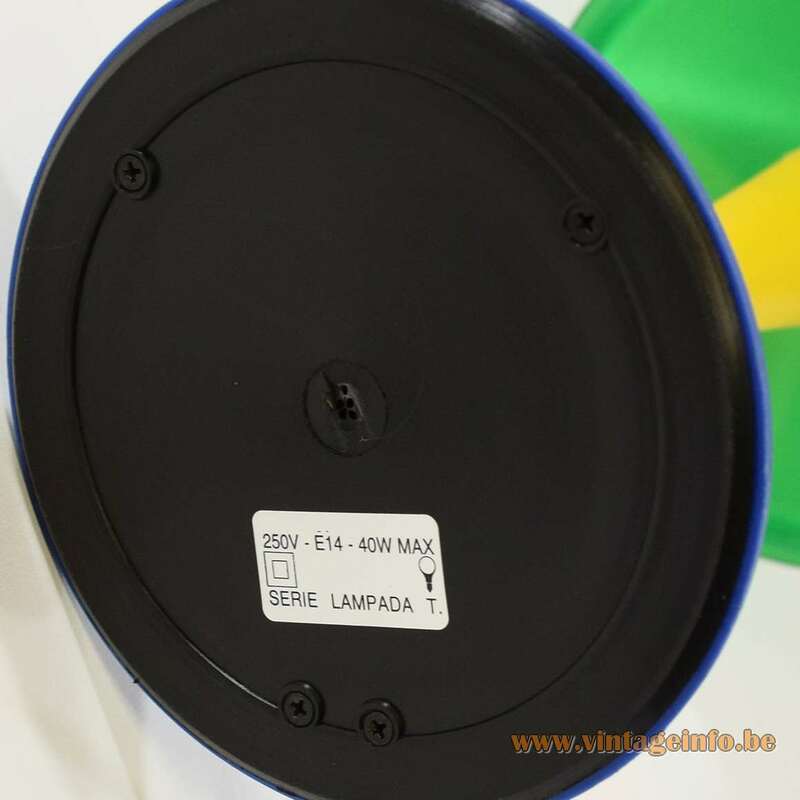 This “copy” was also produced in Italy, in all probability by Veneta Lumi, but produced for companies such as Massive from Belgium and IKEA. 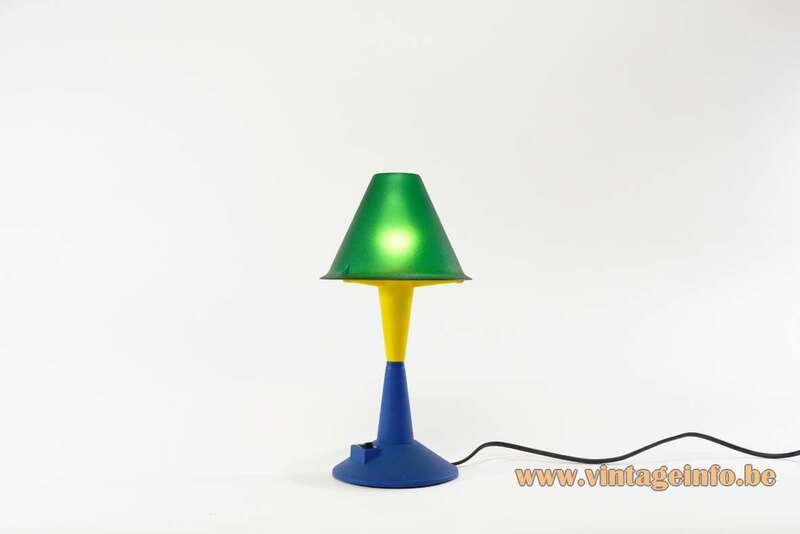 The table lamp sold by Veneta Lumi itself was named Lulù, as you can see below. 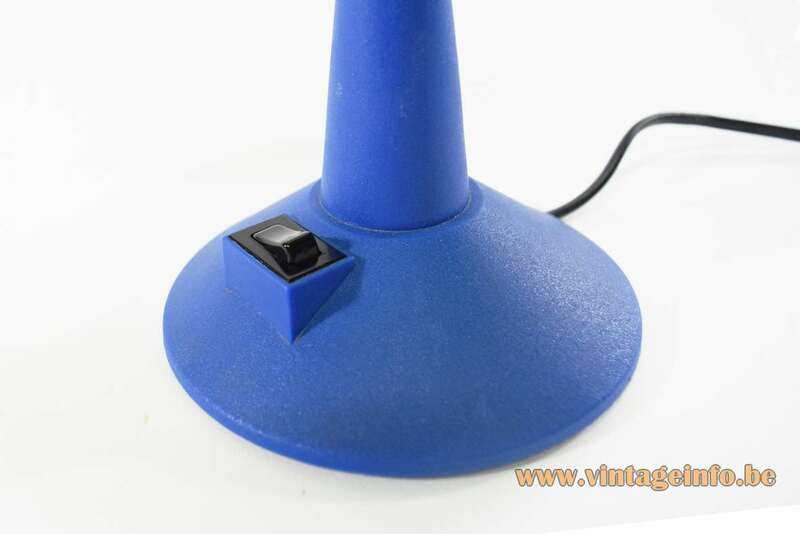 The only difference with this lamp is that it has the switch on the cord and is not built into the base, as you can see below. 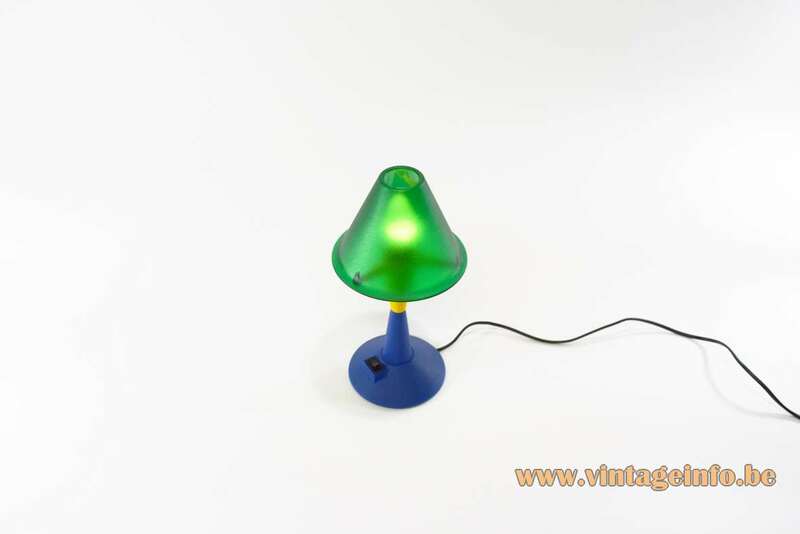 The name Veneta Lumi says it all: lights made in the Veneto region in the north of Italy. The capital and the largest city is Venice. Not much is found about the Veneta Lumi company. 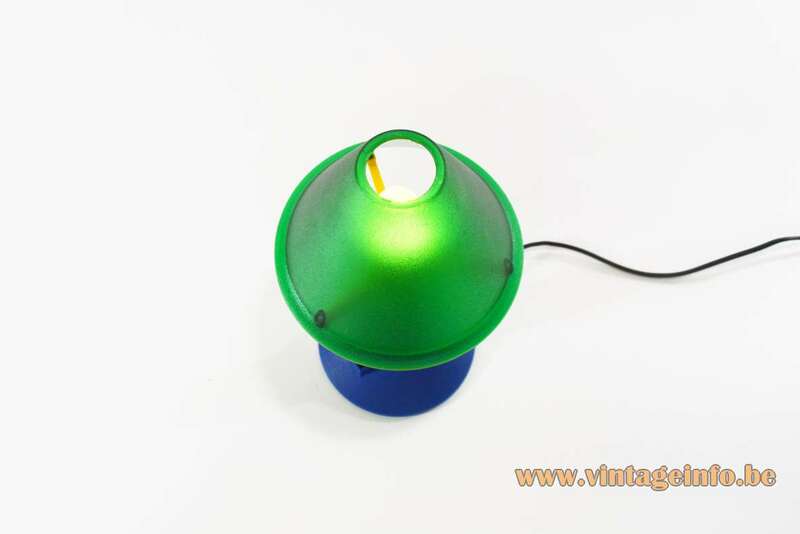 It was active from the late 1970s until the 1990s. They produced many lamps in the at that time very popular Memphis style, made famous by Ettore Sottsass. 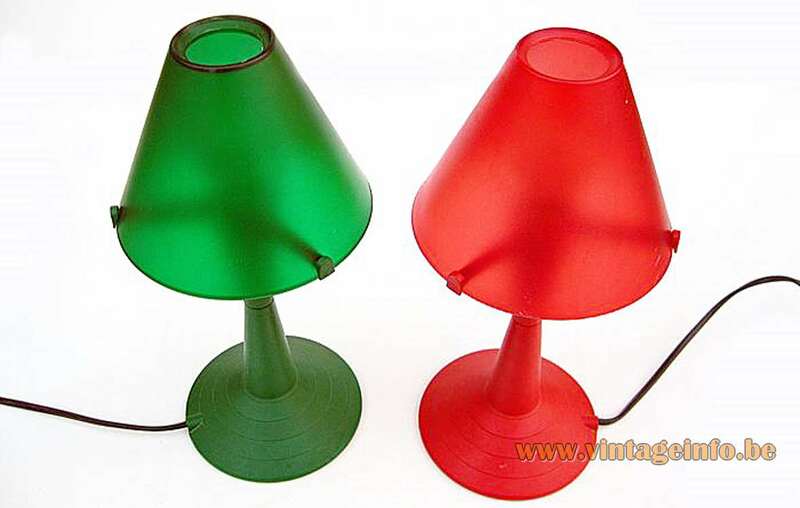 They used the name Veneta Lumi, but also Laguna Light in the 90s, also referring to Venice.